Assuming all 47 Senate Democrats were to vote against Cain, who has yet to be nominated, the four Republicans have already come out against his potential nomination would translate into 51 "no" votes stacked up against him ahead of any confirmation hearings. "I would prefer not to have to vote on him," Cramer told NBC News. "We could find somebody that would go through the process much easier than Herman Cain." Spokeswomen for both Murkowski and Romney said they would not support Cain's nomination, if Trump were to select him. "I feel that we can't turn the Federal Reserve into a more partisan entity," Romney told NBC News. "That would be the wrong course." Cain is the former head of the Godfather's Pizza chain and ran an successful bid for the GOP presidential nomination in 2012, dropping out of the race ultimately due to sexual harassment allegations against him, which he has denied. 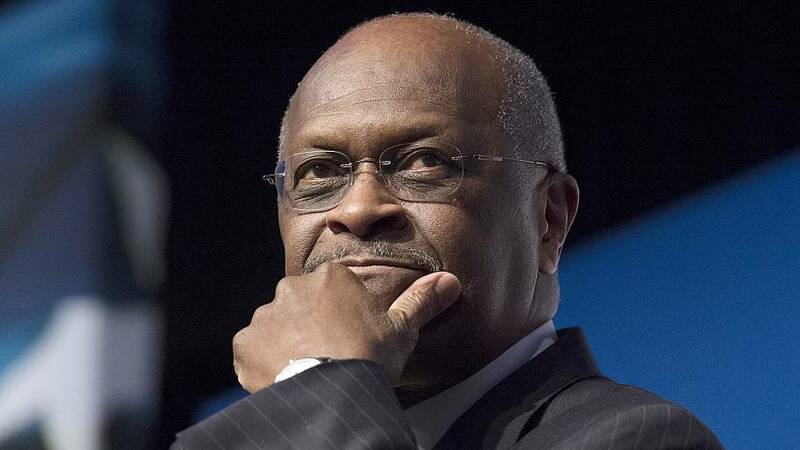 Asked about Cain Wednesday, Trump said, "I like Herman Cain. Herman is a wonderful man. A supporter of mine for a long he ran a good campaign. It's up to Herman. He already sat on one of the fed boards. He is somebody I like a lot. As to how he is doing in the process, that I don't know. You go through a process." Senate Majority Leader Mitch McConnell, R-Ky., was noncommittal earlier this week on Cain's possible nomination, as well as the nomination of Stephen Moore to the Federal Reserve Board. "We're going to look at whoever the president sends up, it's his choice to decide, and once he makes a nomination we'll take a look at it," he said. Rep. Hakeem Jeffries, D-N.Y., chairman of the House Democratic Caucus, said Thursday at its annual retreat in Leesburg, Va., that Cain is "unqualified" and said he wasn't sure if Trump's nominations represent "reality or a Saturday Night Live skit. It is an embarrassment."